Ensure a quality education for traditional students. 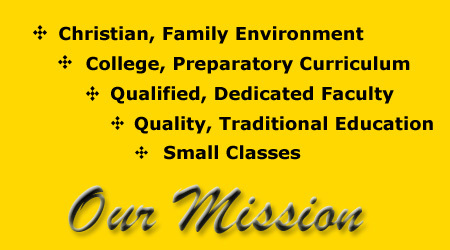 Provide a family environment that embodies Christian values, with small classes, a qualified faculty, and a fully accredited academic program. Ensure post-secondary success by offering a general and college preparatory curriculum.